A limousine is the perfect complement for your anniversary celebration in Los Angeles. Whether it’s your first anniversary, silver anniversary or even golden anniversary, Ross Limo will make your day memorable. With door-to-door service, you will receive the ultimate in first class service and luxury with a limousine, luxury sedan or luxury SUV of your choice filled with amenities to add to the magic of your special night. 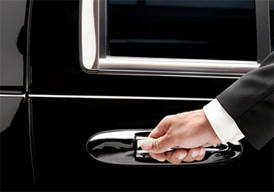 Ross Limo chauffeurs are courteous, well-dressed and meet our highest safety requirements. As professional drivers, they know the city inside out and can route trips for quickest arrival time or best scenic route. Depending on the vehicle of choice, we can offer per hour pricing and or fixed all-inclusive prices. Our team is standing by 24 hours a day to respond to all of your anniversary limousine needs in Los Angeles.